2. Launch the LeapFrog Connect application on your computer. 4. Once the "connection needed" screen appears, release the buttons you've been holding down. 5. Using the USB cord that came included with the LeapPad, plug the LeapPad into the computer. 6. 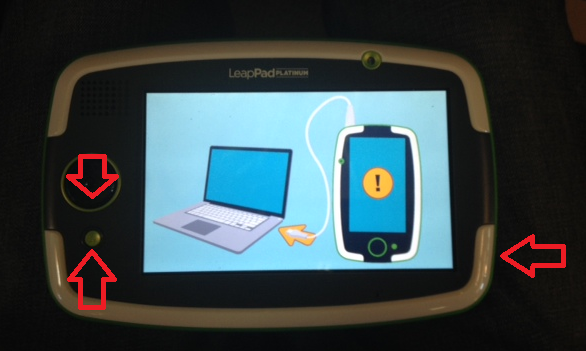 The LeapFrog Connect application will detect and correct any missing or corrupted files on the LeapPad. Once the sync completes, click the eject button on LeapFrog Connect and disconnect the LeapPad.